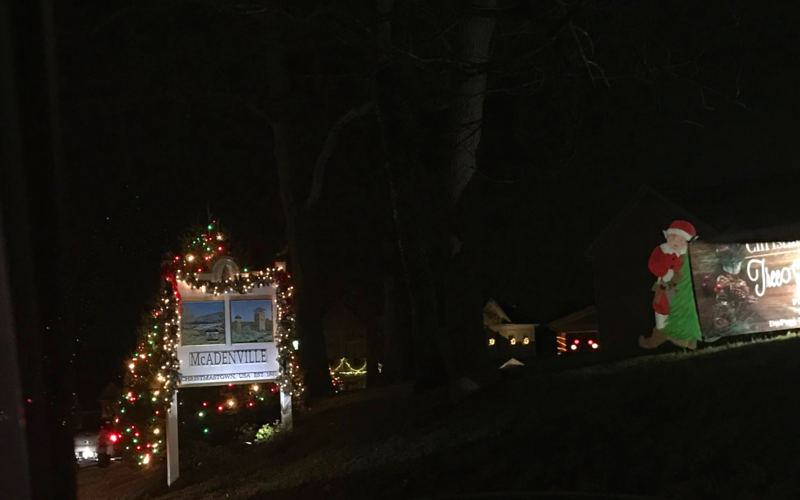 Growing up next to McAdenville, NC, my childhood Christmas was not complete without a trip to see the Christmas lights. As a teenager, walking through the lights with best friends was a quintessential winter experience. However, as an adult, I drive right past the entrance, assuming it will always be there. Caught up in endless holiday errands, I always drive by and plan on going another time. When I woke up this morning, I was facing major life stresses, such as my mom battling cancer and my husband losing his job. The whole day consisted of worrying and trying to find immediate solutions to impossible problems. I was certainly in no mood to think about Christmas. And then, a milkshake craving happened. My husband remembered having a gift card balance to Zaxby’s, so we considered it fate to get out of the house for a bit. Driving down Franklin Boulevard, we remembered the McAdenville Christmas lights had started and decided that if the line wasn’t long, we would go. For possibly the first time ever, there was a surprisingly short line and it felt meant to be to see the lights. 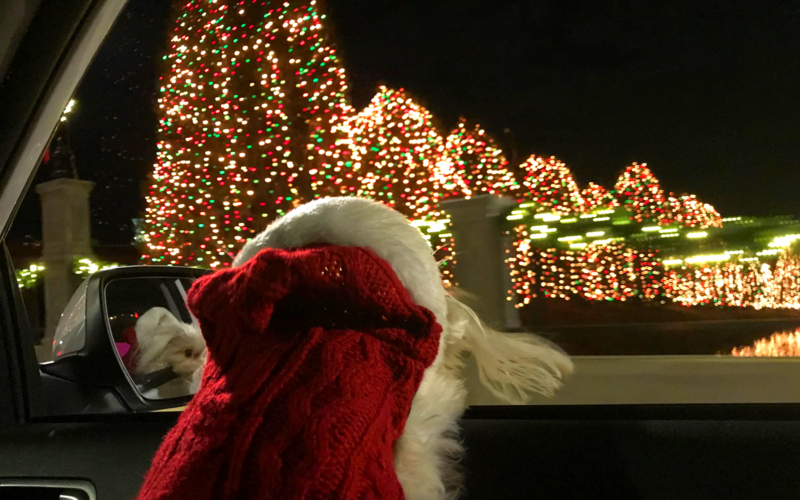 We quickly switched lanes to enter Christmas Town USA, and the sounds of Christmas music and lights immediately brought smiles to our faces. For just a moment, we forgot about all of our stresses in the world. Children greeted us, shouting “Merry Christmas” from their car to ours. 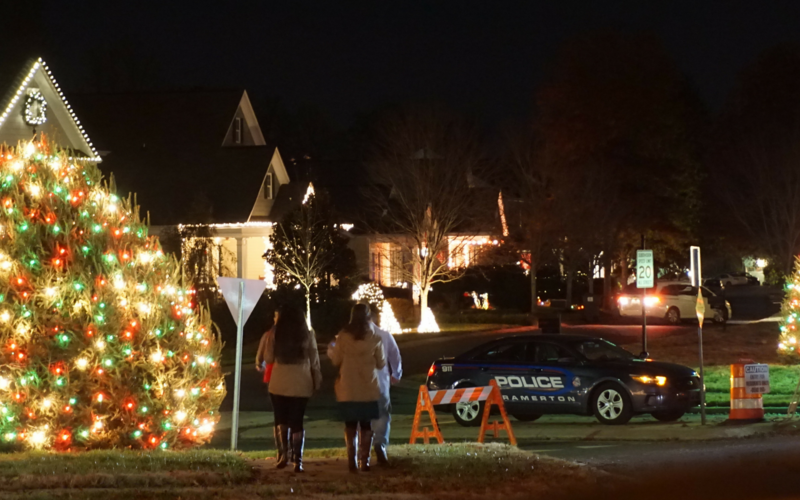 Residents dressed as elves waved happily from their front porch. I had simply forgotten how much happiness is packed into this tiny town. I realized that after living here for nearly 30 years, I have taken this magical place for granted. Even though I have been probably a hundred times as a child, it seems all the more important of a tradition as an adult. Life is good in Christmas Town. 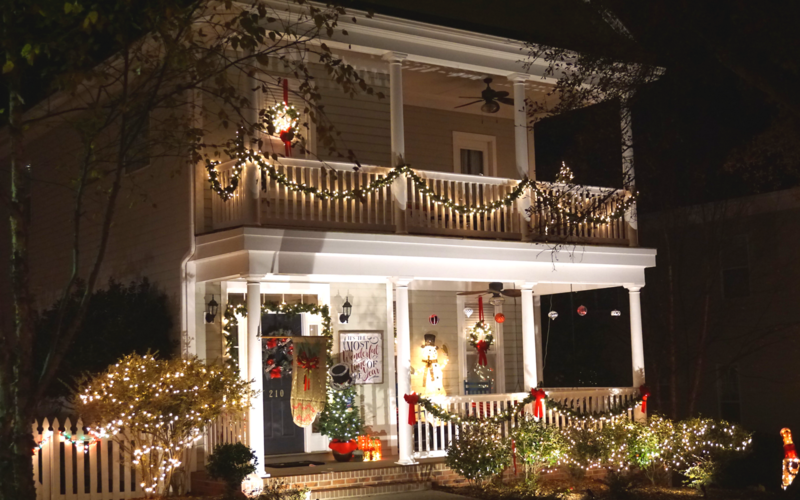 What tradition puts you in the Christmas spirit? Walk. It’s just the best way to experience the beauty. If the free lots are full, you can park at Burger King. I love going to get a hot coffee and walking from there. This is a bit of a longer walk so this may not be the best option for everyone. Keep in mind, the lights are on a timer and will automatically shut off at closing. Go on a weeknight (Monday-Thursday) for a better chance of no line.